UNIQUE, BEAUTIFUL 1.5 acre lot, brick home w/2 master suites. One on upper level w/cozy fireplace & second master on main level w/private side stone porch. Kitchen has granite counter tops, butlers pantry, two sinks, island & stainless steel appliances. CHARM sprinkled throughout w/multiple barn doors, antique rod-iron fencing, pergola, cathedral ceilings, sky-lights, hardwood floors, built-ins & more. You must see this property in person to appreciate the meticulous detail. New 4 season sun rm extended the gorgeous entertaining space, HOLIDAY HOSTING will never be the same! 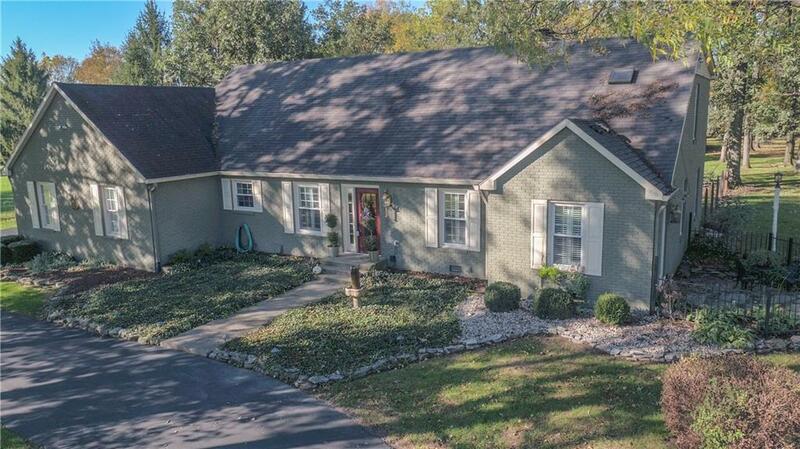 Home has additional 2 car gar w/workshop & a large deck for enjoying the fall cool evenings. Westfield schools & just a few miles from Grand Park. Please watch video.